Four area Preschools prepare kids for school with part-day readiness programs during the school year. YMCA Preschool provides quality and affordable part-day, school-year care and education for children ages two to five years. Contact the program director at your preferred location to see classrooms, meet staff and more. Our unique Preschool program is designed to prepare kids to be ready for school. We are committed to helping your family learn, grow and thrive. The Y Preschool program is successful because of the extraordinary people who make it all happen each day. All staff members meet or exceed state licensing guidelines and follow our core values of caring, honesty, respect and responsibility. We encourage parents to participate in Preschool activities whenever possible. You’re welcome on field trips, as guest readers or speakers in the classroom, and much more. Talk with the program director at your Y Preschool location to determine how you can best lend your talents. 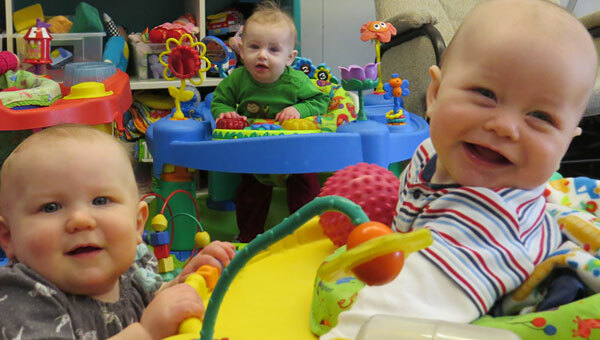 We also offer full-day Child Care for preschool-age children.